a floating platform by marshall blecher and fokstrot seeks to provide a new type of public space in the copenhagen harbor. Ø1, named after the danish single-letter word for island, is open to everyone, and has so far been used for stargazing, BBQ’ing, winter bathing, fishing and some local events. 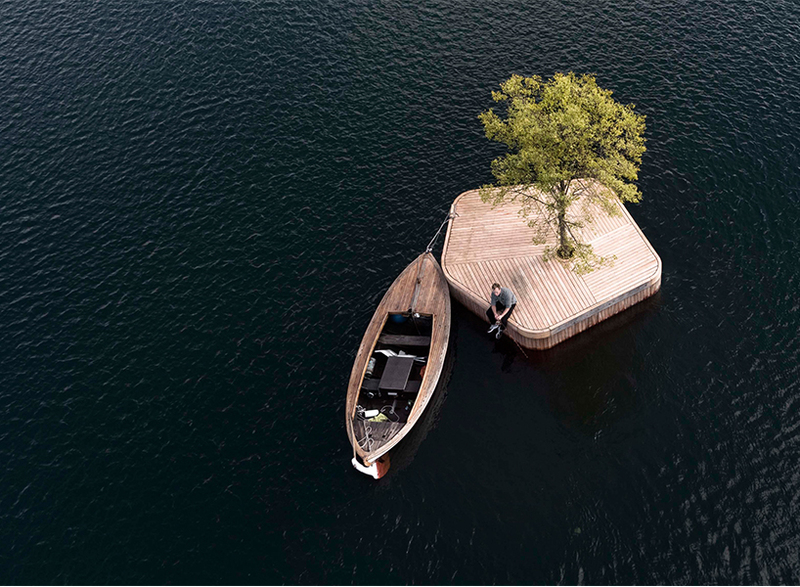 blecher and fokstrot launched Ø1 as a prototype for a series of wooden platforms that are to be spread around the harbor under a project titled copenhagen islands. 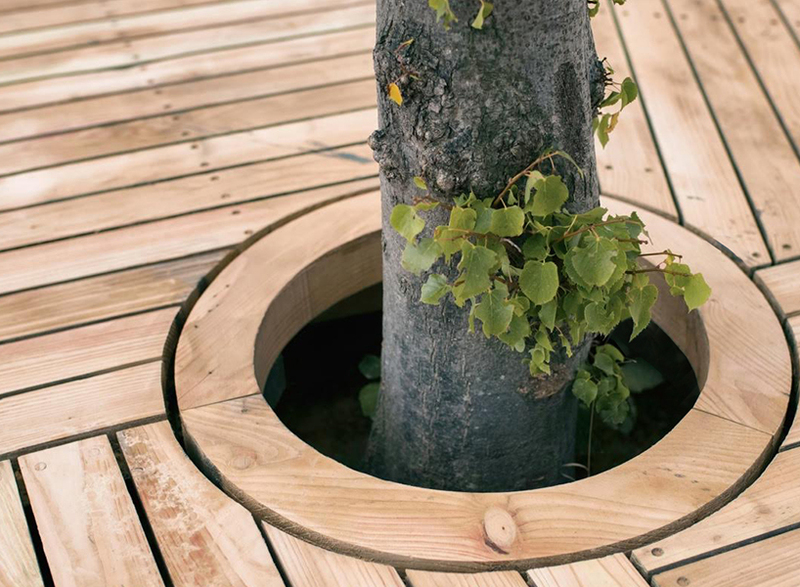 the 25m2 platform features a 6m linden tree growing at its center and was constructed by hand using traditional wood techniques in the boatbuilding yards of copenhagen’s south harbor. built with the support of the danish arts foundation (statens kunstfonden) and cultureharbour365 (havnekultur 365), the project aims to invigorate the area with this new type of public space. 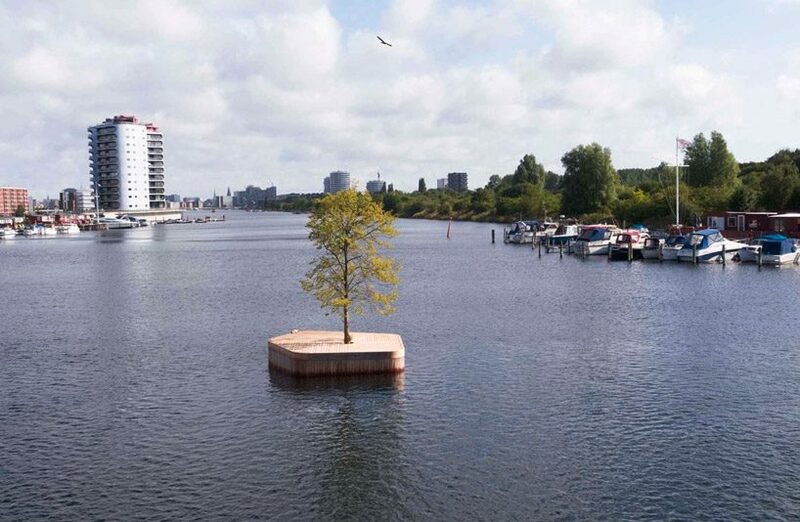 more floating platforms in the copenhagen islands project will include a sauna, gardens, a mussel farm and a floating diving platform that could be used freely by boaters, kayakers and swimmers. ‘the islands could be brought together in the wider parts of the harbor for events and festivals, or moved to catalyze activity in newly developed or underused locations,’ suggests the team. 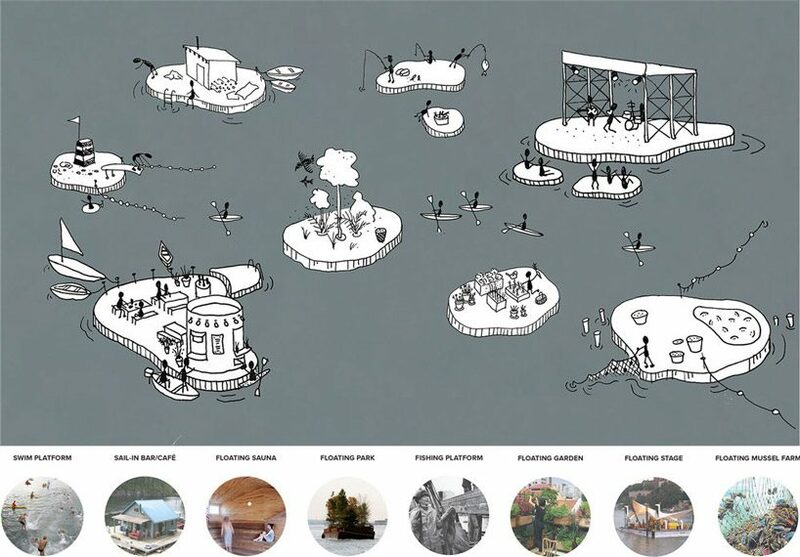 with a goal of reimagining the relationship between cities and the sea in a time of rapid urban development and rising sea levels, blecher and fokstrot are currently working on a range of other projects in the city harbor that include a floating fish market and a floating cabin. 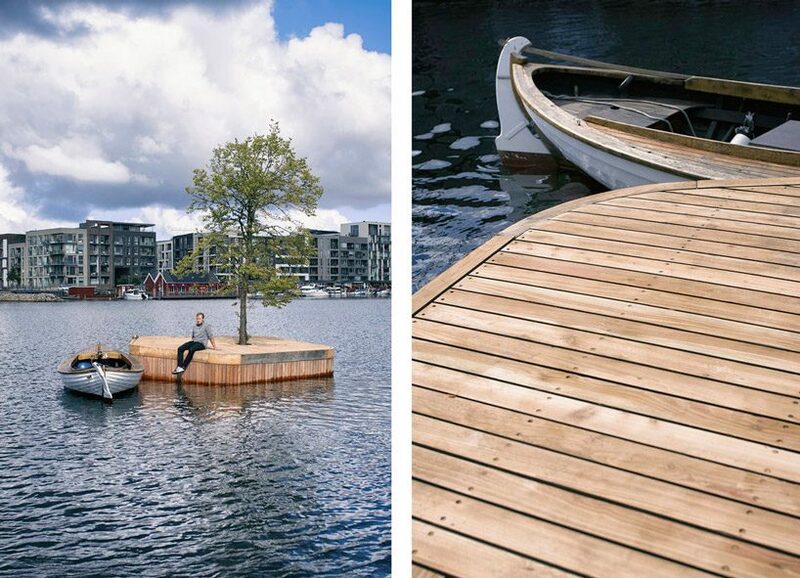 blecher and fokstrot launched Ø1 as a prototype for a series of wooden platforms that are to be spread around the harbor under a project titled copenhagen islands.